Typically, we think of July as Summertime in Britain. Hampton Court Flower Show, Wimbledon and The Proms all feature this month and are markers of a British Summer. Then picture the quintessentially British Summer Garden and I bet you see beds of jumbled up Cottage Garden favourites, jostling with each other for space and competing with their colour! Actually, July in the garden can be somewhat different! It’s a bit of a green month; sometimes providing a bit of a lull between the fresh greens and colours of Spring and the more intense colours that come with those plants flowering in late Summer. 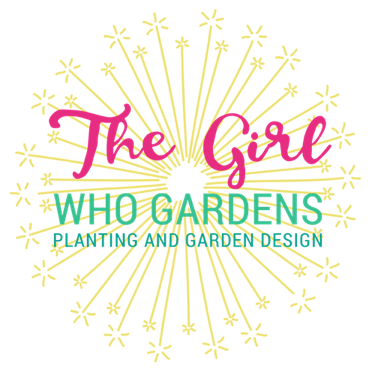 So, if you’re feeling a bit jaded in this heat and your garden is too here are some ideas for planting to pick you up in this July gap! 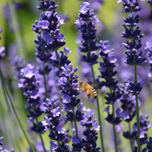 Lavender – the colour seems more intense than usual this month and I wonder if the dry weather is helping to lock in the colour and scent! It typically likes dry conditions, not liking heavy clay soils and the potential for soggy roots! Shear off the flowers after they have flowered and then shear again in the Spring to keep the bushes compact as they are prone to getting leggy and woody. 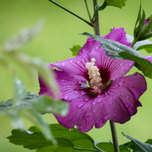 Hibiscus – the flowers on Hibiscus look so tropical but love the conditions in Britain. It’s just getting going in July and will last into the Autumn. Prefers a well-drained soil too and a hard prune in Spring. Roses – Is it just me or have they been spectacular this year? 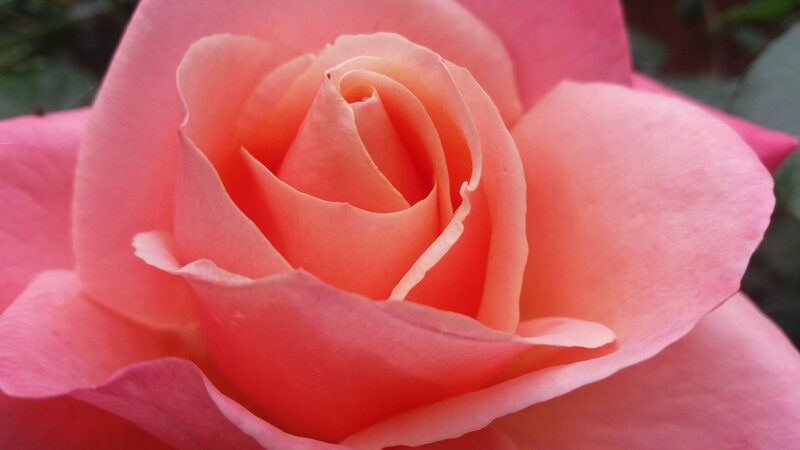 Whatever your favourite colour or scent you will find a Rose for you. Just keep deadheading or picking them and they will flower for you all Summer long, if not year long! Prune them over the Winter, removing anything that is dead, damaged or diseased and a 3rd of stems and they will thrive and flower for you. 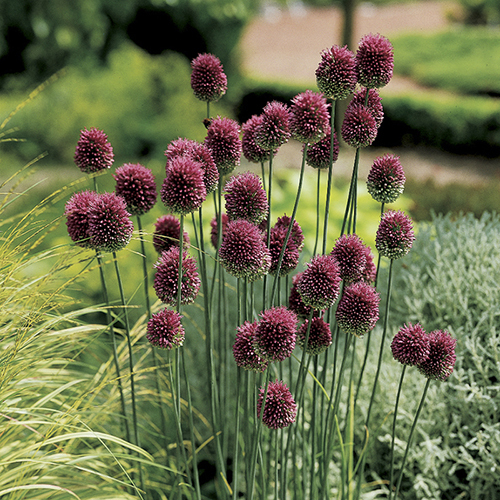 Allium Sphaerocephalon – is the later flowering Allium and was all over the Flower Shows this year. 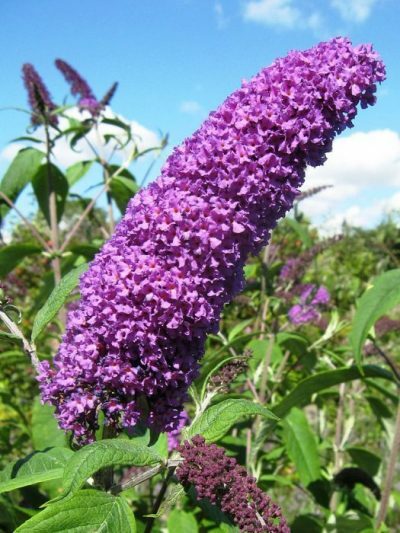 It’s a dark purple and tear dropped shaped and looks great planted through a border. Remember to plant in groups of odd numbers for bigger visual impact but a great plant that even when the flowers have faded will leave a striking seedhead for you to enjoy for the rest of the year. 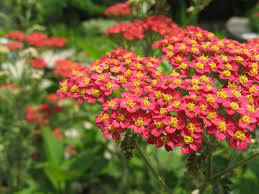 Yarrow (Achillea) can be spotted at this time if year with it’s flat topped umbels and feathery light green foliage. It comes in a variety of colours, prefers well-drained soils but again gives you striking seedheads when the flowers have faded. All you need to do is cut them down when they look too scruffy and wait for the flowers again next year. The Butterfly Bush (Buddleia) is tough as old boots! But produces the most beautiful flowers and (as its name suggests) the bees and the butterflies love it! Cut it down every Spring so it doesn’t get out of hand and it will reward with you flowers and scent! 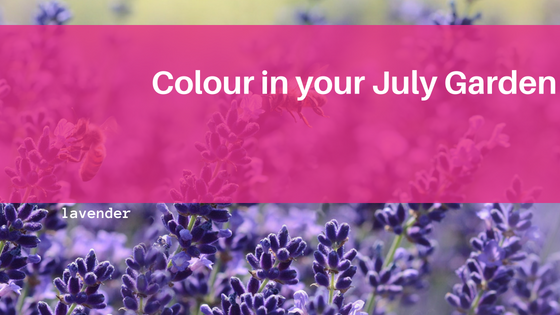 Just a few ideas to bring some colour to July. Let me know what your favourites are.